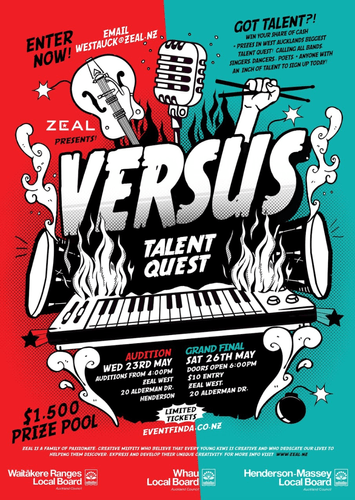 Versus Talent Quest - Zeal HB may be the upcoming event you’re looking for. Come to Zeal west to see the grand final of the versus talent quest! Jam packed with talent you don't want to miss. $10 entry to see the best West Auckland has to offer. Doors open at 6pm.